_Elder Latimer is here to talk about the truth. But when the young Mormon lands in London fresh from the States, his world of absolutes starts to crumble. 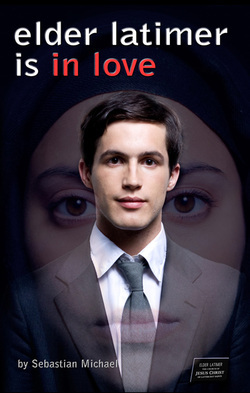 He falls in love with Dina, a young Muslim who’s even more convinced of her faith than he is of his, and questions of love, truth and faith take on a whole new meaning. While he is beginning to see things in the new light of a new city, Dina’s determination to do what she knows is right has no limits. Can love conquer all? Can reason? Available in paperback as combined Programme/Playtext for the original production at Arcola Theatre (2009) and in paperback and as eBook in the playtext only second edition.